Zayn Khan pauses for a second to think about the question that's been posed to him. Then in that very deliberate manner of his, he begins to speak. "No, I never thought of it. It was too steep a ladder for me to aspire that far," he says. The newly and  perhaps more importantly  unanimously elected president of the FMSCI speaks of the fact that he hadn't, in his over 30-year association with motorsport, ever thought of climbing through the rungs of the FMSCI and getting to a position where he might wield considerable power. He'd never seriously given it a thought. But a week before the FMSCI elections were held in Bangalore, on September 22, 2015, Khan began to hear of his name being nominated as a candidate for the post left vacant by the untimely demise of R Bharath Raj. And unlike the previous few years, where the FMSCI elections have seen various factions lobbying for power and some amount of fragmentation within the council, this time around it was a unanimous decision. Not even once was another person's name mentioned as an opponent to Khan when the eight-member council sat down to cast votes. No wonder then, that Khan was a little overwhelmed with the outcome of the elections. He'd clearly come a long way since his first tryst with motorsport back in 1982. It had been for the New Year Rally that he'd found himself a marshal back then. The event, organised by the late Shaukat Ali, started on January 2, in Hyderabad and featured 40 motorcycles and three or four cars. Being up close with all those rally machines really struck a chord with Khan and so began his association with motorsport. He began marshaling at various events organised by the Andhra Pradesh Motor Sports Club, and was eventually inducted into the APMSC itself, where, for a number of years, he held the position of treasurer, also eventually representing the APMSC at the Federation. Over the years, Khan moved where the sport moved. 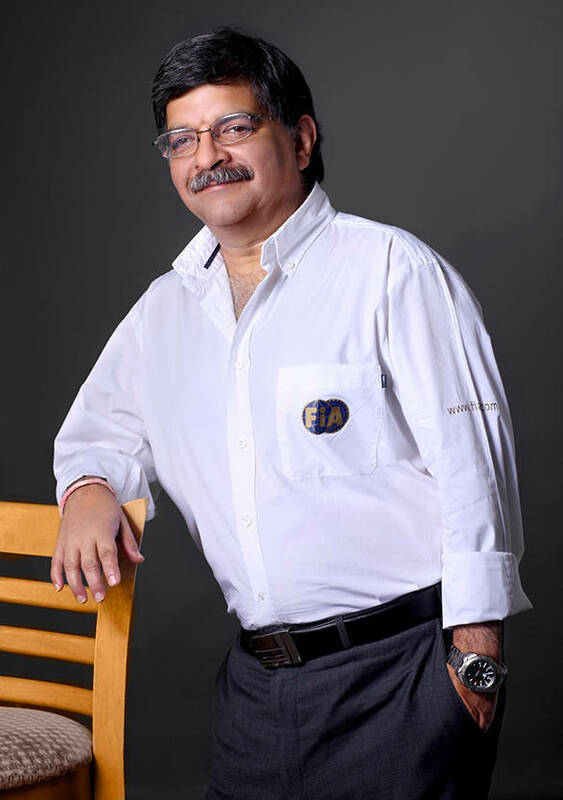 When the Motorsport Association of India was the ASN (National Sporting Authority) for the sport, Khan moved to the MAI, serving as the chairman of the Rally Commission there, as well as being a part of the Competitions Committee. Along the way, the years he had spent in various other roles in motorsport, helped immensely. He had himself competed in TSD rallies, autocross events and gymkhanas, as well as been a part of the service crew for Kiran Mody's rally team back in the day. Coupled with organising a whole host of rallies for the APMSC, one would say his background in motorsport was fairly well rounded. In Khan's own words though, it was stewarding and observing that gave him the most joy and also helped him learn the most about the sport. He has in the past served as a steward or observer for around 12 international events at an Asia Pacific level, too. And it is as an astute observer, with a keen knowledge of the rule book that he is known. That, and as a someone generally acknowledged for speaking his mind and giving you an honest answer when you ask him a straight question. It isn't something he's unaware of. "I am considered a little neutral. Maybe a person who is considered as someone who would do what is right," he says. Although he admits that he was overwhelmed by the results of the election, and, to a certain extent, was left speechless in the aftermath. However, when he found his tongue, Khan said in a note issued to the media, that one of his goals as president was to unify the Federation. It's something he emphasises once again when I ask him of his immediate areas of focus as the new head of the country's ASN. "We need to work together," he says. "Without that, we might win small wars, but we'll never make it big. So my goal is to unify everyone to work together." The other key focus for Khan is promoting the sport. Over the last few years, the money within the Federation itself has dwindled, which means that promotion of motorsport in the country has suffered, especially in terms of rallying. "There's no promotion because there's no money. And there's no money because there's no promotion. It's a Catch 22 situation. But someone needs to bell the cat," he declares. While Khan believes that karting and circuit racing have done fairly well over the last few years, rallying in the country definitely needs a fillip, according to the new president. And the end of the 2015 season of the Indian Rally Championship, with the Chikmagalur Rally being observed, is a major event. "Asia Zone which is running in Chikmagalur this year is being observed and the chances of us getting APRC are very high. Locally, a lot of work needs to be done. We are desperately lacking a promoter," Khan stresses. "The sport is getting very expensive for the organisers. And the organising club sponsors don't want to spend this kind of money. The FMSCI was subsidising this till last year. The cost of the timing equipment, the cost of moving the marshals, these were things the FMSCI were doing all this while. We can't go on subsidising rallying. Racing or karting have promoters or a single sponsor for the championship. That's the difference," he declares. Of course, there's still the hope that new manufacturers can be drawn into the sport. While Mahindra is currently the only full manufacturer in the IRC, and Volkswagen provides a lot of support to customers using their machines, an out-and-out competition between manufacturers within the sport doesn't exist. There have been rumours of Toyota entering the realm of rallying, but Khan declines to comment on this. Of course, welcoming more manufacturers into circuit racing would also be a coup for the Federation. Open racing, in addition to the many single-make racing series that already exist for both two-wheelers and four-wheelers will be a big help. But the 2015 season of motorsport is almost over. And like Khan says, "to expect a miracle at this stage is a little unrealistic." However, after the Annual General Body meeting is held in mid-November, matters will be clearer, with definite announcements about the 2016 season of motorsport. What then of this new weight that rests on his shoulders? "My initial reaction when I was elected was 'Oh god! This is a hell of a responsibility.' But I want to enjoy it. That will just lighten my burden," Khan declares. "I want to stand for what is right. I don't want to get into these major controversies. I don't want to be seen as someone who has some other intention. I really believe that if you stick to what is right, what your conscience believes is right, you won't go too wrong," are the parting words of the new president. Seem's like exactly the sort of person we need in power. Ring in the new, then!